With support from the Michael & Susan Dell Foundation, FSG has produced a series of in-depth case studies on blended learning at five leading school operators across the country. 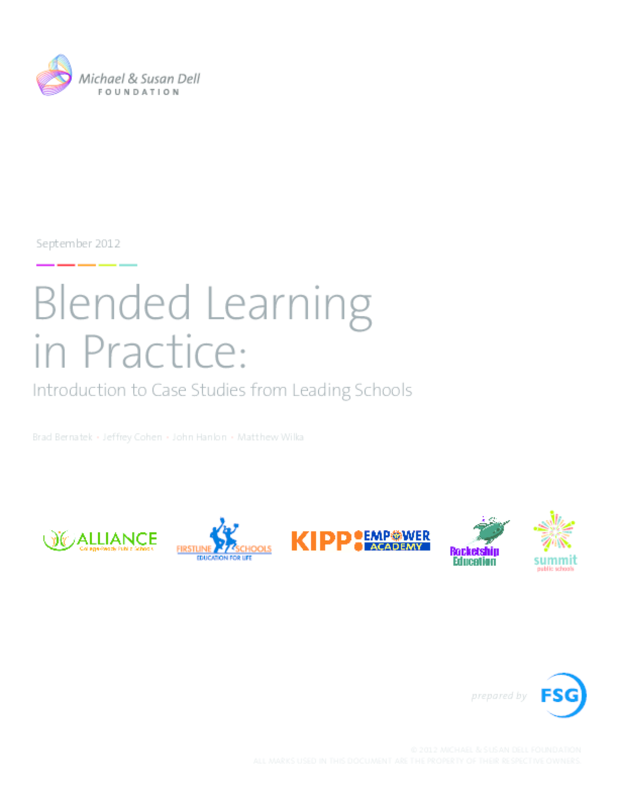 Based on a year of research, the case studies provide practical insights for school and school system leaders, funders, nonprofits, and others interested in blended learning. Each case study captures how blended learning impacts the school's instructional, operational, and financial models, as well as lessons learned from implementation. Please visit our website at http://www.fsg.org/tabid/191/ArticleId/799/Default.aspx?srpush=true to download the individual case studies.